Women conductors appear to be somewhat ‘in vogue’ with a raft of recent and high-profile appointments (Mirga Gražinytė-Tyla as Music Director of the City of Birmingham Symphony Orchestra, Xian Zhang as Principal Guest Conductor of the BBC National Orchestra and Chorus of Wales, Susanna Mälkki as Principal Guest Conductor of the Los Angeles Philharmonic) alongside increased media coverage, awareness and debate. 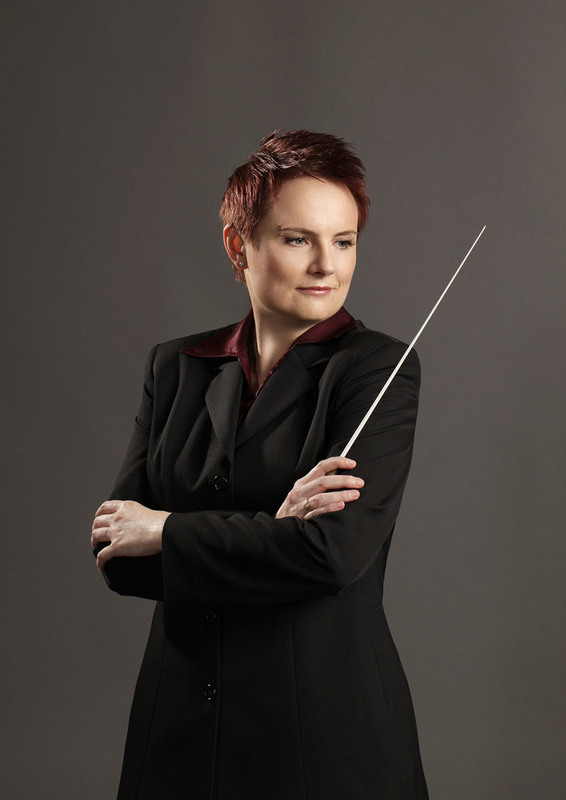 A number of women-only conducting masterclasses including the Linda and Mitch Hart Institute for Women Conductors at The Dallas Opera have also emerged in recent years, yet nevertheless the statistics on the number of women conductors – particularly those working at the upper-most echelons internationally – paint an indisputable picture. In 2016 the League of American Orchestras reported the gender distribution of music directors was 91% male and 9% female. Of the 22 highest budget US orchestras, there is just one female conductor, Music Director of the Baltimore Symphony Orchestra Marin Alsop. Female conductors are not a new phenomenon – Antonia Brico (1902-1989) made her professional conducting debut with the Berlin Philharmonic Orchestra in 1930, before returning home to the US where she conducted the Los Angeles Philharmonic. Five years earlier in 1925, British conductor and composer Ethel Leginska (1886-1970) made her Carnegie Hall debut with the New York Symphony Orchestra. Famed pedagogue and conductor Nadia Boulanger (1887-1979) downplaying the issue of being a female conductor wryly observed, “I’ve been a woman for a little over 50 years, and have gotten over my initial astonishment.” Boulanger was the first woman to conduct a number of ensembles, among them the BBC Symphony, Boston Symphony, Hallé Orchestra, New York Philharmonic and the Philadelphia Orchestra. In spite of these early conductors’ pioneering efforts, however, the very concept of the female conductor remains an anomaly. Simone Young’s illustrious career has been one of ‘firsts’ and when Marin Alsop conducted London’s revered Last Night of the Proms, she too expressed shock that there could still be firsts for women in 2013. Around the same time – coincidentally perhaps? – there were a number of outspoken remarks by prominent male conductors, among them Vasily Petrenko, Yuri Temirkanov and famous conducting pedagogue, Jorma Panula, comments which appear to have fueled the fire of the gender debate. Petrenko reportedly claimed that orchestras simply play better for men and that an attractive female conductor on the podium causes musicians’ minds to wander. Temirkanov was quoted as saying women are not biologically suited to conducting and that female conductors are contrary to nature because “the essence of the conductor’s profession is strength. The essence of a woman is weakness.” Panula is also reported to have cited biological reasoning, claiming that women are not suited to conducting repertoire including Bruckner and Stravinsky. Established in 2015 with the specific aim of redressing the gender imbalance in orchestral conducting at the highest level was the Linda and Mitch Hart Institute for Women Conductors (IWC) sponsored by The Dallas Opera. The brainchild of Dallas Opera CEO Keith Cerny, he explains inspiration for this programme stems from formative family experiences, seeing his mother among the first women to be admitted to the doctoral programme in Physics at the University of California Berkley. Cerny then went on to attend Harvard Business School where he describes observing a “range of barriers for women achieving success in the business world” and acknowledges he continues to see similar challenges and barriers for women leaders and conductors in the classical music world. The Institute for Women Conductors is much more than a conducting masterclass. While providing valuable podium time with The Dallas Opera orchestra under the guidance of master mentors (TDO Music Director Emmanuel Villaume and Principal Guest Conductor Nicole Paiement, Italian maestro Carlo Montanaro and Marin Alsop, for example), the IWC is a comprehensive professional development programme covering aspects such as obtaining management, dealing with a board of directors, workings of non-profit organisations along with sessions on marketing, image, press/publicity, and social media – essentially, the business of conducting. Conductors present two public performances with The Dallas Opera orchestra and singers, and are guaranteed high quality professional video recording and promotion of their work – a tremendous asset in securing auditions for professional positions. TDO guarantees a five-year commitment to each conductor, with a subsequent annual professional development and networking session, along with ongoing mentorship and career advice. Furthermore, previous Institute conductors have been invited back as assistant conductors, conductors and coaches to work with The Dallas Opera. While the Dallas programme is still in its infancy the signals are certainly encouraging, with the numbers of applicants increasing with each successive class ­– in 2017, 161 applicants from 33 countries. With just six conductors invited annually, antipodean conductors have been particularly successful in achieving selection – Jessica Gethin and Jennifer Condon (2015), Melbourne Symphony Orchestra Assistant Conductor Tianyi Lu (2016), and myself (2017). With funding secured to host the Institute for the next 20 years, the Dallas Opera Institute for Women Conductors has the potential to put more than a few cracks in the proverbial glass ceiling. Leonard Bernstein alive and well 100 years on in Marin county. Superstar tenor’s Lehár brings down the house as well as the underwear at the famous Last Night. These ten trailblazing talents are leading the way for women conductors all over the world. São Paulo post for one of the US’s most dynamic conductors.